Please contact us for detailed information of each product. 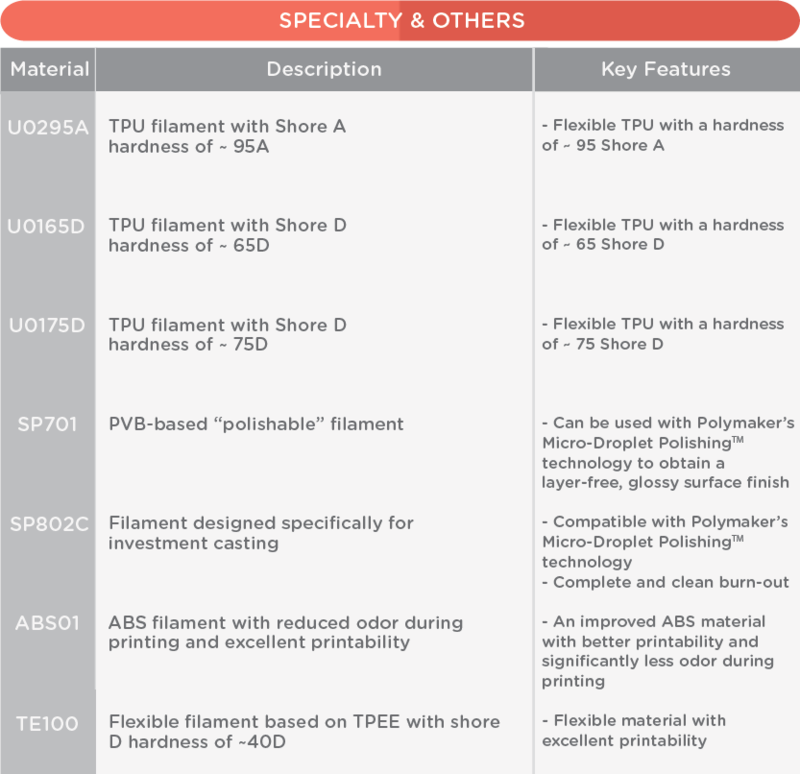 By default, all materials are supplied in the form of filament. Other physical (e.g. pellets, powder, etc.) are also available upon request. Click here to download our official presentation.